Many of you have a big Easter brunch followed by a big Easter supper. What goes in between those big meals? Easter truffles, of course! Sure, you may feel a bit guilty for indulging on all these Easter sweets but you can even it out with an extra scoop of carrots on your dinner plate. 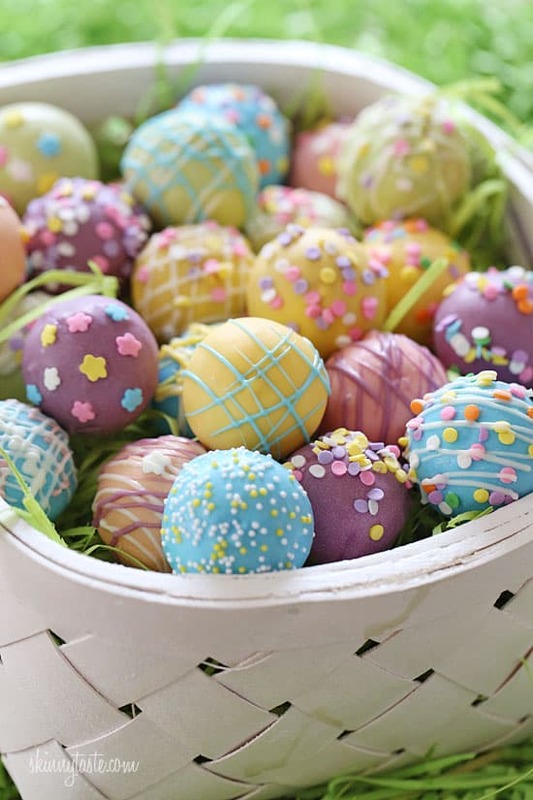 Ready to see these tasty Easter truffles? You may want to grab a napkin for all the drooling that’s about to happen. 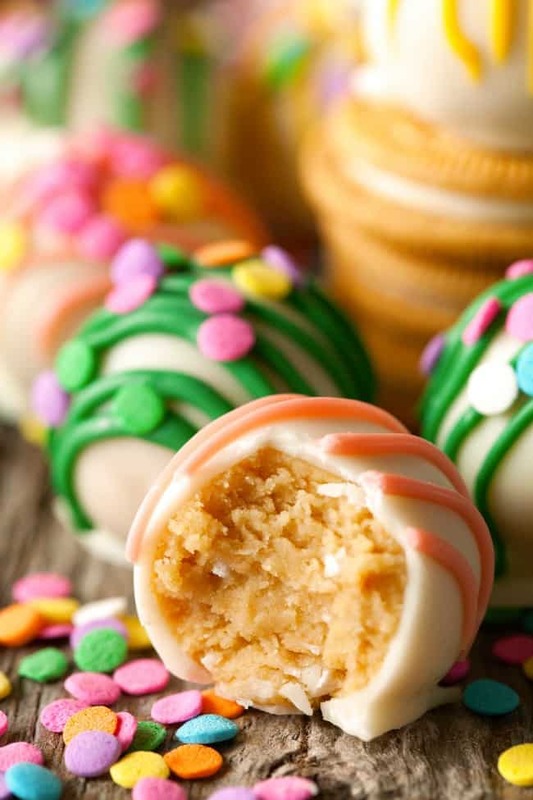 These Golden Oreo Easter Egg Truffles by Gimme Some Oven only require 4 ingredients. Less time preparing means more time eating! 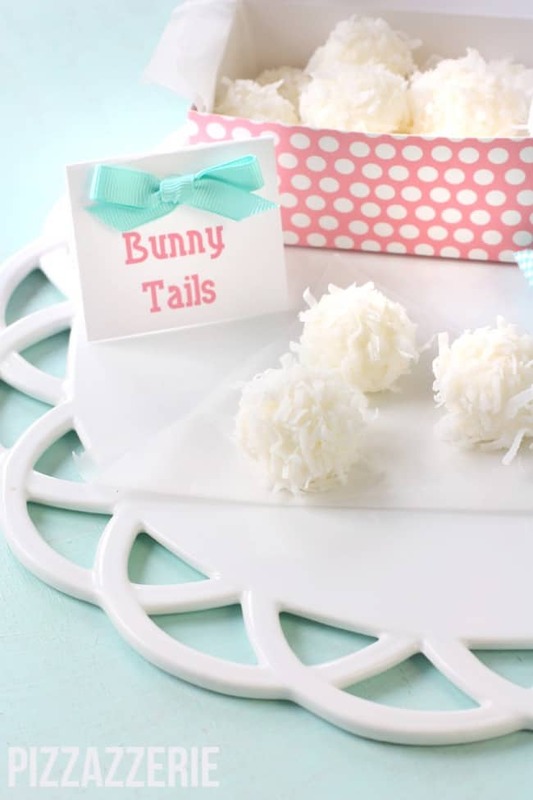 These Easter Bunny Tails by Pizzazzerie are so adorable! They are really easy to make and don’t require any baking. 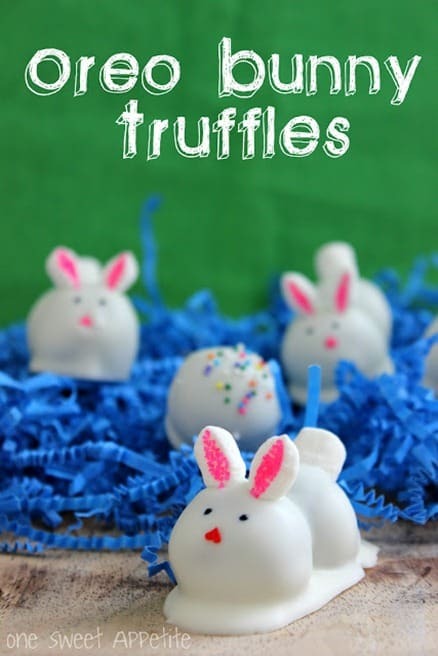 These Easter Bunny Truffles by One Sweet Appetite are incredibly cute…almost too cute to eat! 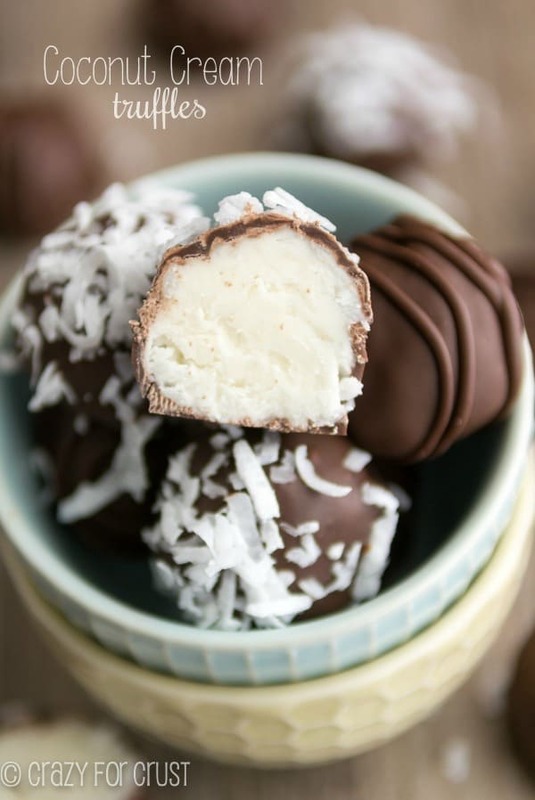 These Coconut Cream Truffles by Crazy For Crust look incredibly delicious! Would it be wrong to make them and hide them from my family so I don’t have to share? 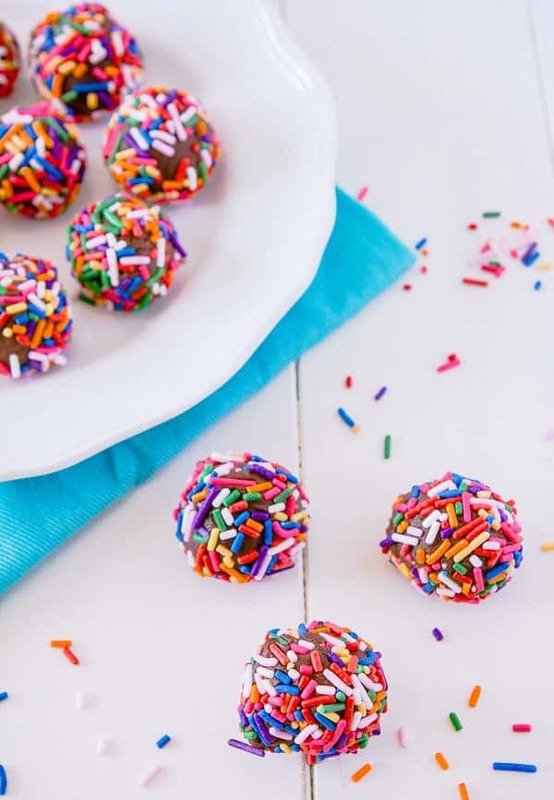 These Brownie Truffles with Sprinkles by A Zesty Bite look highly addictive! Serve these at your next party and everyone will be asking for the recipe! 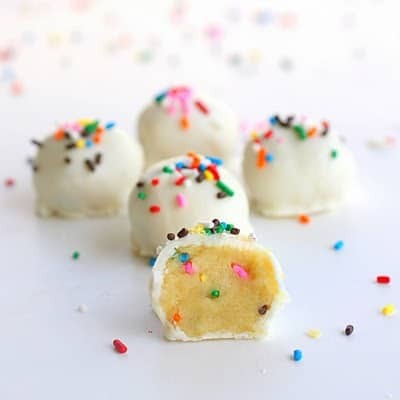 You’ll want to load the sprinkles in and on these Cake Batter Truffles by The Girl Who Ate Everything. 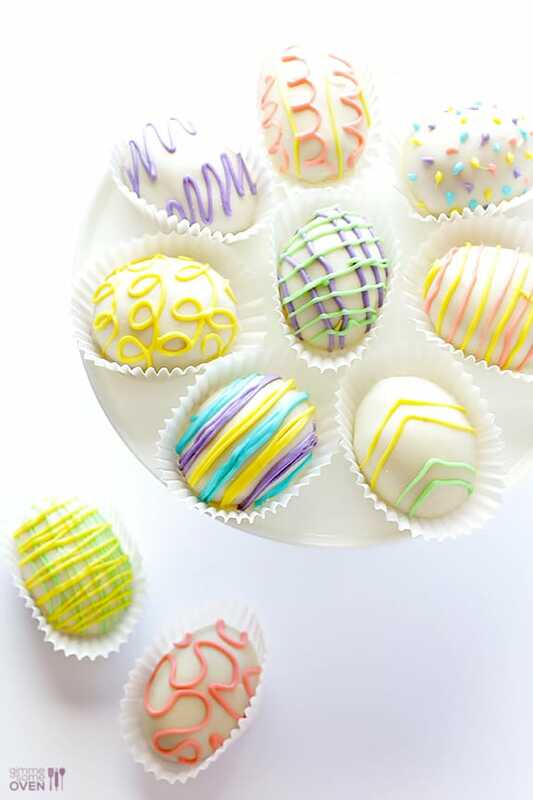 These Golden Oreo Easter Truffles by Deliciously Yum would be a great hostess gift on Easter! What’s the Easter Bunny’s favorite food? I don’t know for sure but I’m guessing carrot cake is at the top of his list! 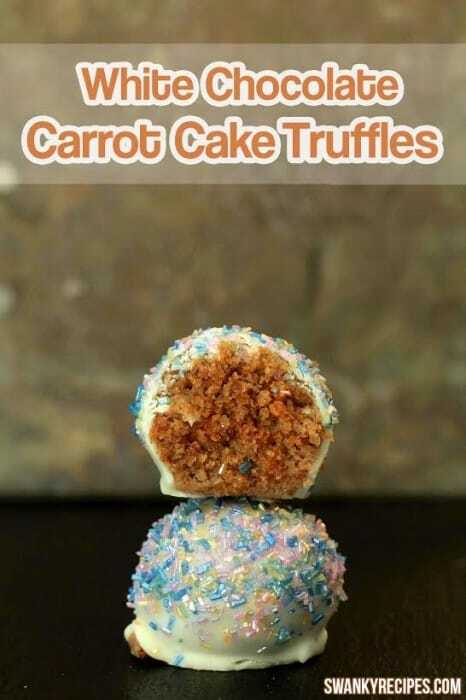 These White Chocolate Carrot Cake Truffles by Swanky Recipes are sure to get the Easter Bunny’s stamp of approval. Want a healthier truffle recipe that’s still delicious? 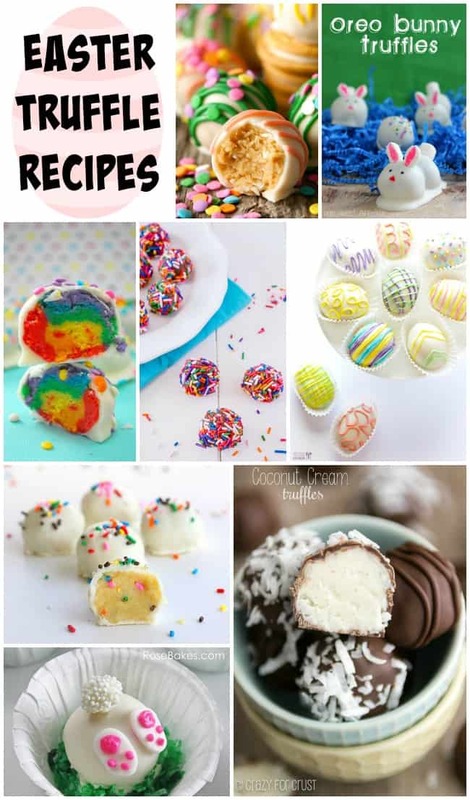 Then you’ll want to check out these Easter Cake Balls by SkinnyTaste. 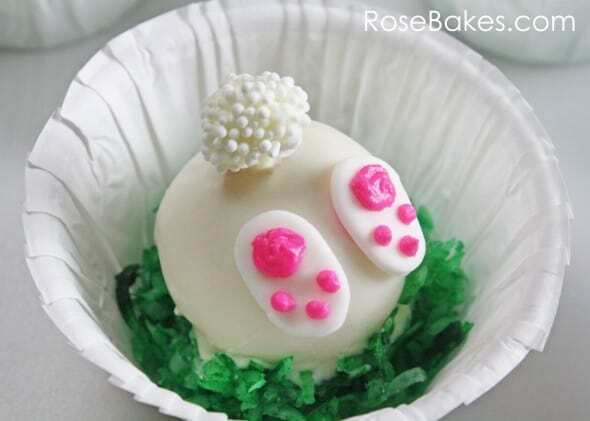 These adorable Easter Bunny Tail Cake Balls by Rose Bakes will be the talk of your dessert table. Seriously, these couldn’t be any cuter! If there’s one combination I can’t resist, it’s chocolate & coconut. 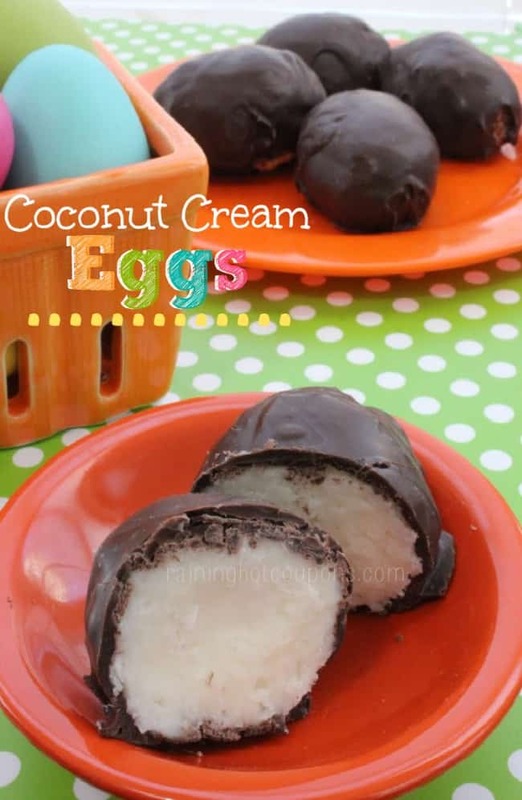 These Chocolate Coconut Cream Eggs by Raining Hot Coupons look irresistible! Now that spring has arrived, tasty rainbow desserts are popping up everywhere! 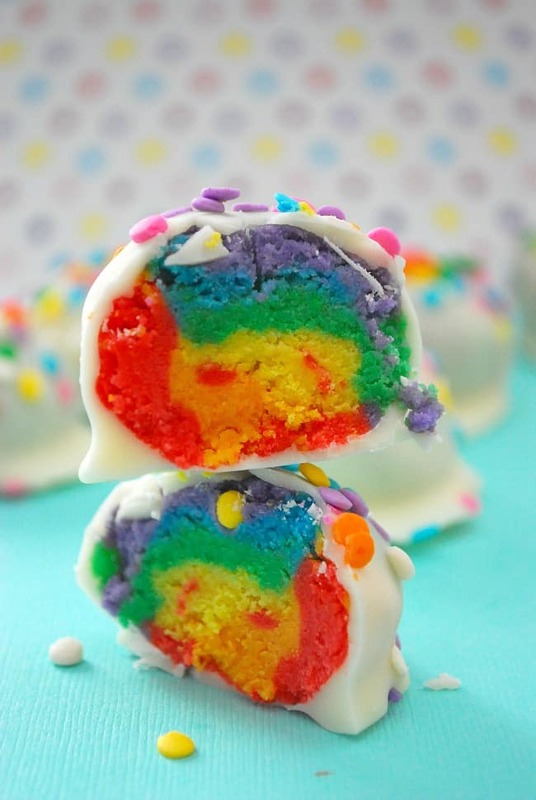 These Rainbow Truffles by The Domestic Rebel look so tasty & perfect for any spring party. These are all so beautiful & look delicious. I wish I had some now.